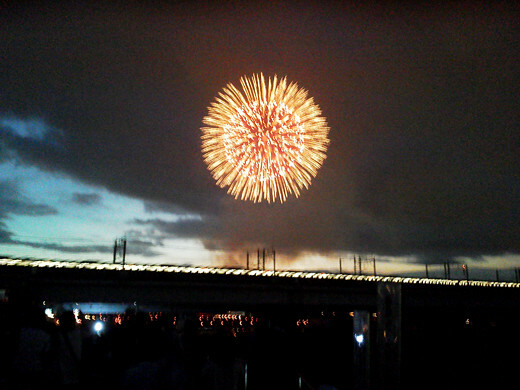 I went to the Itabashi Fireworks Festival held on August 5. 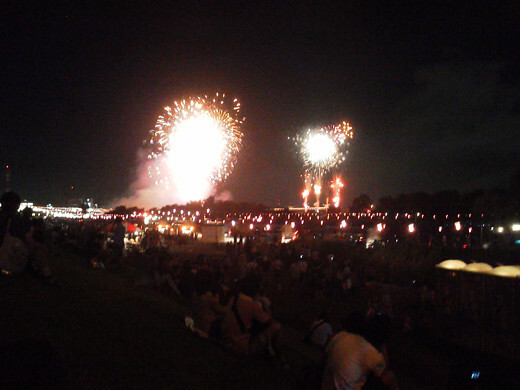 This year was also the 80-year anniversary of the starting of this fireworks festival, so there was a huge crowd. 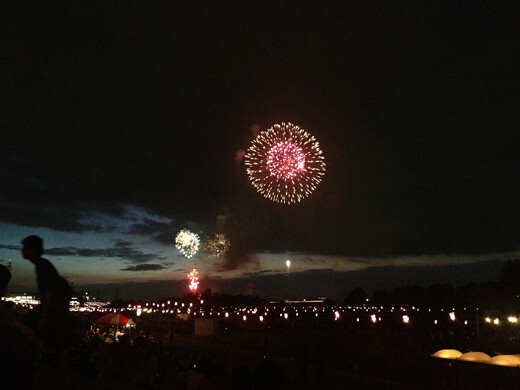 On the banks of the large river called the Arakawa River, as many as 15,000 fireworks were launched into the sky one after another.